The perfect passion for salad lovers. Weather it be traditional salads or a ceviche, this is the perfect vinegar to give the best passion punch to your dishes. 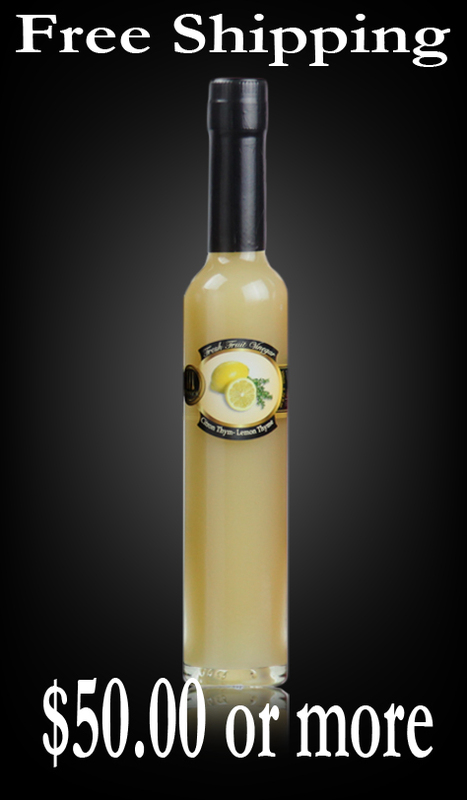 Our Passion Fruit Fresh Vinegar is with full of pulp of fresh passion fruits. This vinegar will add a delicious burst of fruit to your favorite salads and dishes. Try it on grilled seafood and shellfish, and combines beautifully with infused oils to create unique dressings. 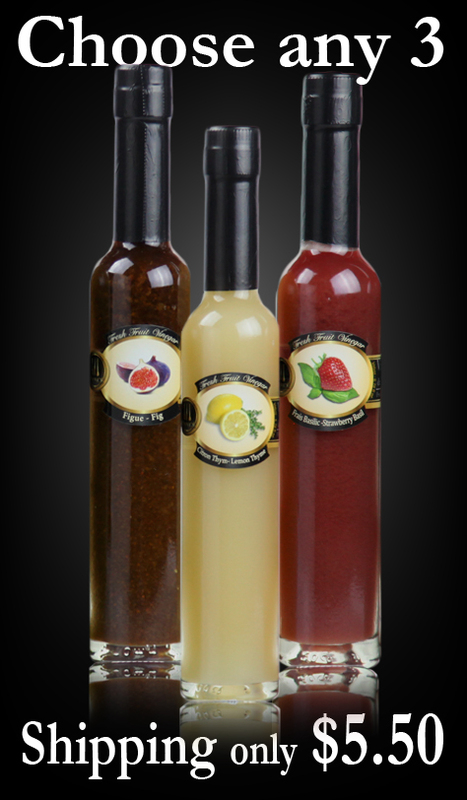 Passion Fruit Vinegar has a delicious tropical flavor and aroma. Fresh and sweet, this vinegar has an endless array of uses. This robust vinegar adds a tropical accent to any dish. Great for Ahi Tuna Salad, Coconut crusted Cod, and Mango tropical fruit Salad. If you would like some great dishes to taste go to the "Recipes" tab. 1. Passion fruit vinegar is an incredible source of dietary fiber,which helps reduce LDL cholesterol. 2. Passion fruit vinegar is rich in enzyme to help digestion. It is effective in reducing stress, reliving depression. It is also effective in treating all kinds of skin disease, including acne. freckles, etc. 3. Passion fruit vinegar is good if you’re tired, and it relieves stress. 4. Passion fruit is an excellent source of potassium; it helps regulate sodium in the body, which in turn helps lower blood pressure. 5. Passion fruit has been used to treat headaches. This vinegar is rich in antioxidant that serves to inhibit the growth of cancer cells. 6. Passion fruit vinegar is very good for attaining optimum health and to reduce weight. 7. Passion fruit vinegar is rich in vitamin-A, and flavonoids. It helps to protect from lung and oral cavity cancers.